In my psychic practice, my clients ask me a lot of questions regarding love, family, career, money, home, etc. Often times, I will have a client who really wants to know how they can develop their own psychic gifts. I tell them they need to get in touch with their “clairs.” The “clairs” is NOT the name of sisterly-spirit guides, or some magical elixir, but instead refers to the human senses of sight, tasting, smelling, hearing and feeling. To better clarify, the word “clair” means “clear.” The “clair” pre-fix is used in front of each word that indicates a sensory ability. For example the word clairvoyance combines the word “clair” with the word “voyance” meaning “to see,” therefore the word clairvoyance means “clear seeing.” There are many different kinds of “claires” from hearing (clairaudience), sensing (clairsentience), knowing (claircognizance), as well as tasting (clairhambience) and smelling (clairalience), etc. So why is developing your sensory ability so important to increasing your psychic ability? 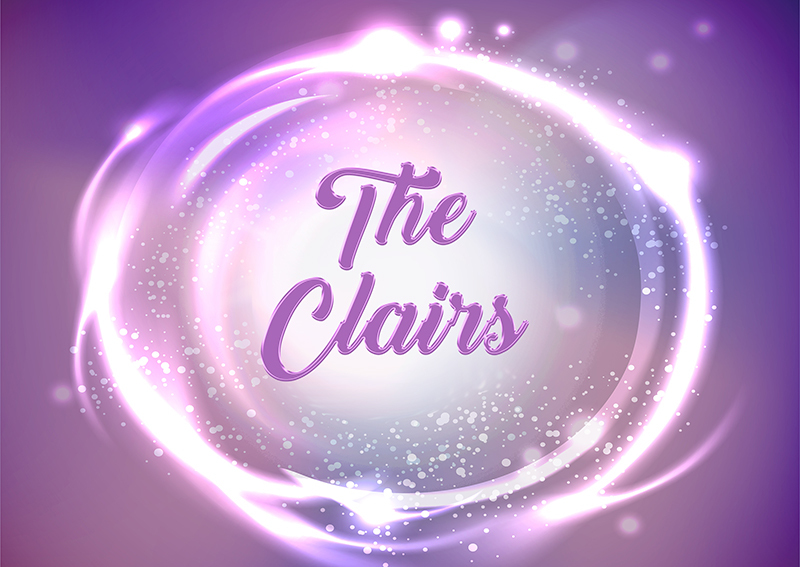 The “clairs” are essential for psychic development because they bring us information about our outer world, our inner world and the worlds we cannot see. As you learn to focus on each of your senses, your psychic attunement becomes stronger and the information you receive becomes more accurate. Some people may be stronger with one of the “clairs” than others, while other people may have great ability with all of them. It’s important to play with the different senses to see which one(s) is best suited for you. In this post, I break down four of the main “clairs” and how to sharpen them for psychic connection. Clairvoyance is the ability to clearly see. Clairvoyance can show up in many different forms. For instance some people can see ghosts, angels, spirit guides, events from the past or auras. Some clairvoyants can perform remote viewing, which is the ability to see what is happening in a distant location. There are many techniques that can help you develop clairvoyance. For example, you can learn how to see auras. Auras are rays of colorful light that emanate around a person’s body. You begin with picking your subject – person, plant or animal. When you look at he/she/it relax your eyes until your subject is out of focus. Now look for any energy, color or light that you may see around the perimeter of your subject’s body. You may have to stare for a while, but the key is to stay relaxed and keep your eyes relaxed. When you start to see the color/energy emerge watch what it does and where it goes. Are there multiple colors? Are they layered around the body and if so in what order? When you are finished write down what you saw. Refer to your notes when you learn to interpret what the aura energy means. If you would like to learn how to perform remote viewing then pick a place that is not in your present vicinity. Close your eyes and try to imagine everything about this place in as much detail as possible. You may even want to include sounds, smells, tastes, etc. When you are finished write everything you saw down. You can call someone in that location to see if your vision is accurate or travel to that location to compare your “vision” to what the location is like in real life. This will help to confirm you actually did “see” it. 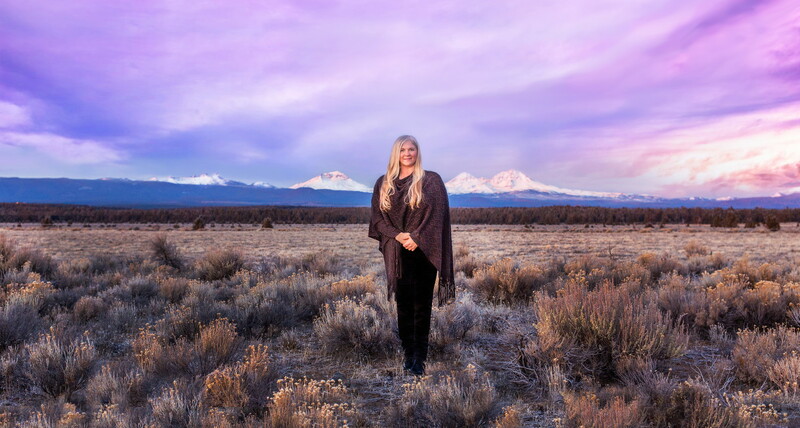 If you want to connect with angels and spirit guides I would recommend meditation and visualizing what your angel or spirit guide looks like. (See my earlier post for “Connecting to Your Spirit Guides”). During a meditation notice what the guide says, what he/she is wearing, how he/she approaches you, where he/she is located – a garden? The beach? The mountains? You will know you have connected with your actual guide when the information they give you is accurate, valid and not information you could have known on your own. Clairaudience is the ability to clearly hear. People that have the gift of clairaudience have the ability to hear sounds, music, voices of the deceased and/or spirit guides, and words from the higher extension of themself. They can even hear events from the past. When trying to develop this “clair,” the sounds you receive may be faint or mumbled at first but with practice they should get easier to understand. These sounds will also sound like they come from inside of your head instead of outside of your head. With practice you will begin to trust what you are hearing is not from your imagination. To develop clairaudience just practice using your hearing as your dominate sense. What do your ears hear? What sounds, music, people, etc. in the outer world do you notice? Just practicing paying attention to your basic hearing can help you to attune to your audient sense. Another method is practicing with musical instruments. If you listen to a band see if you can only notice when the guitar is playing, or the piano? If there is a group singing, only focus on one of their voices and become in tune to that particular voice. Finally, ask your spirit guides for auditory answers to your questions and stay open to the information you receive. The answers may come in any form of auditory response – such as in a song, a “thought” or through a vocal exchange with another person. The point is to stay open to any audible sense that could contain the answer you are looking for. Clairsentience is the ability to clearly feel. People with clairsentience pick up on the emotions from the people around them. You can also pick up on the emotional energy of a spirit. This sense can alert you to danger, or heighten your intuitive sense. The best way to develop your clairsentience is to check in with yourself, specifically your gut, to see how you feel about certain people, events, locations or situations. When meeting someone for the first time just swing your attention down to your gut to see if you get any emotional response, any intuitive nudge that tells you this person is not good, or if they are in fact great! Try this again if in a new location, or when someone is telling you about an event or a set of circumstances that they are dealing with. How does it feel when you receive this information? Claircognizance is the ability to clearly know. Many people have had experiences with claircognizance, as it is more common then the other “clairs.” For example, claircognizance is thinking you should go to that party, but knowing you really shouldn’t; thinking you should take that job, but knowing you won’t. Claircognizance isn’t a thought; it’s an epiphany. The information you receive isn’t coming from your mind, it’s just an automatic knowing of what you need to do. The mind is simply observing the information imparted to you from a greater source. It is powerful and can inspire one to take action, even if they haven’t taken any action for years. To develop your claircognizance, you can try automatic writing. You simply pick up a pen or pencil and place the tip on a piece of blank paper. Then just start writing down whatever comes through. Try not to think while you are doing this. If the information you write doesn’t make sense then keep going. It could become clear over time. You can also put yourself in a meditative state and visualize opening your crown chakra (the white light chakra at the top of your head). You can focus on different people, events or places to see if you can pick up any specific information. Make sure to note or write down any information you receive so you can check it for accuracy later. So that’s it! Developing your “clairs” isn’t so hard! What “clair” sense is your favorite? What works for your “clairs” development the best? Leave me your comments below!